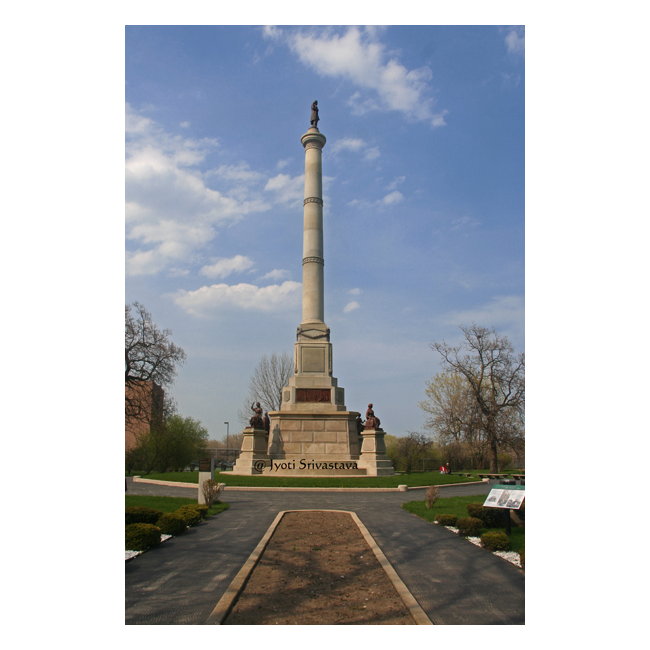 Chicago Landmark Monuments and Sites. It's a common misconception that the "Chicago Landmark' status is designated only to buildings and disctricts in Chicago. 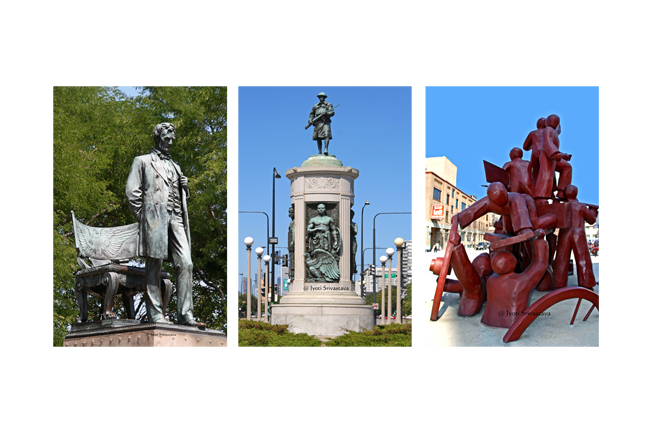 Interestingly some public art, monuments and historical sites that have also been designated as Chicago Landmark. This encourages their preservation and protects against demolition. Location: Richard J. Daley Civic Center Plaza, 50 W. Washington Street. 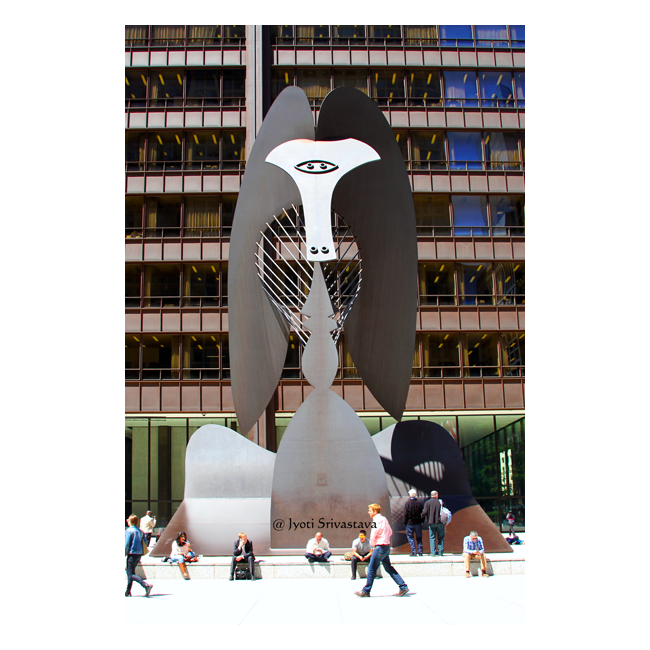 The sculpture is a gift by the artist Pablo Picasso to the people of Chicago. Made of Corrosive Tensile ["Cor-Ten"] steel / 50 feet tall / 162 tons weight. 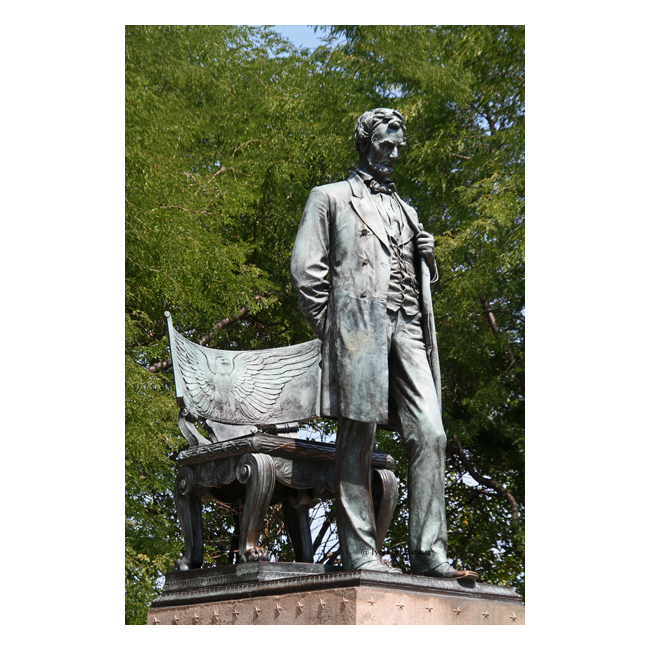 Lincoln Park / Abraham Lincoln Monument – by Augustus Saint-Gaudens [sculptor] and Stanford White [architect]. Location: Lincoln Park at North Dearborn Parkway. Date Designated a Chicago Landmark: December 12, 2001. 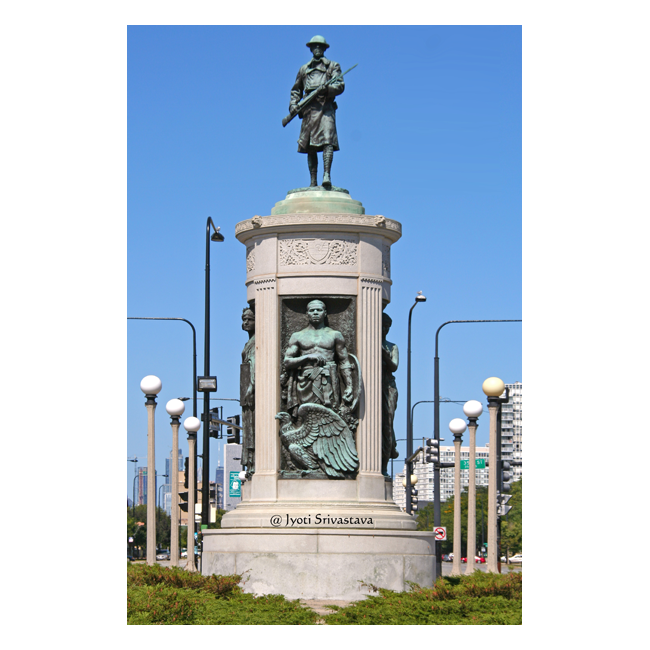 Chicago South: Bronzeville / Victory Monument – by Leonard Crunelle [sculptor] and John A. Nyden [architect]. Victory Monument - by Leonard Crunelle [sculptor] and John A. Nyden [architect]. 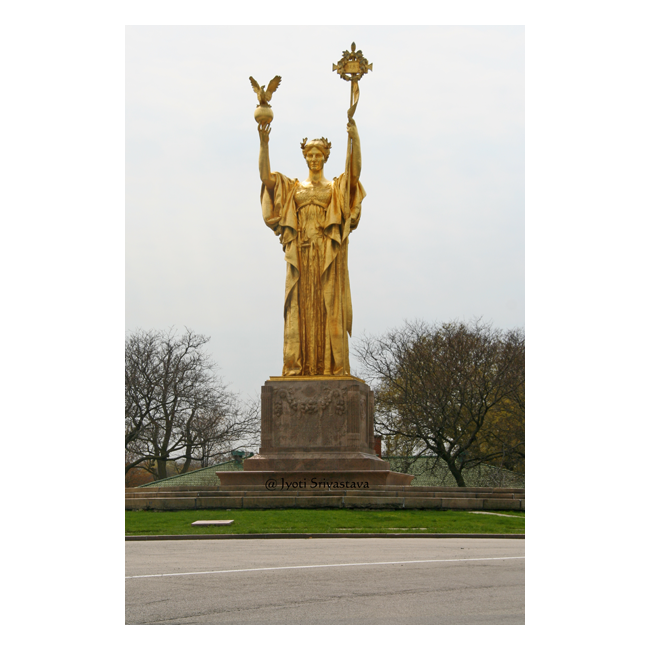 Erected: 1927 by the people of the State of Illinois, represented in the 54th General Assembly. Date Designated a Chicago Landmark: September 9, 1998. The structure was added to the National Register of Historic Places: April 30, 1986. 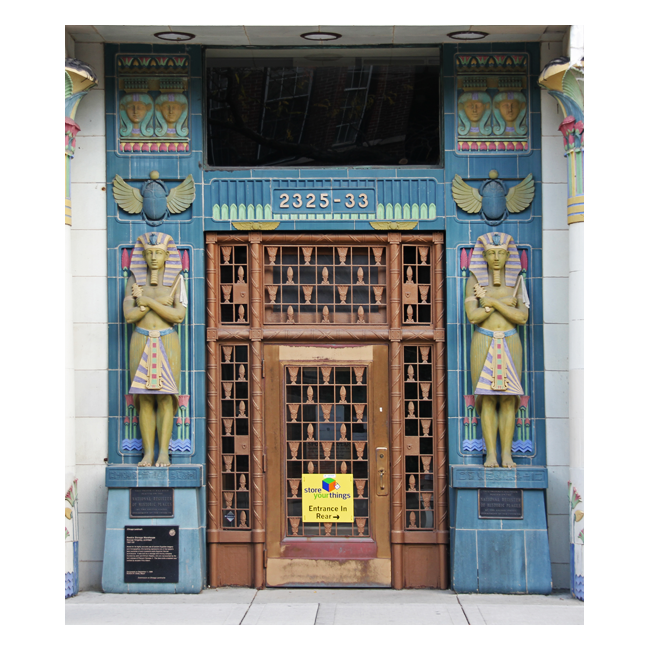 The moving company founders, John and William Reebie, are represented by the two statues of Ramses II that flank the main entrance. 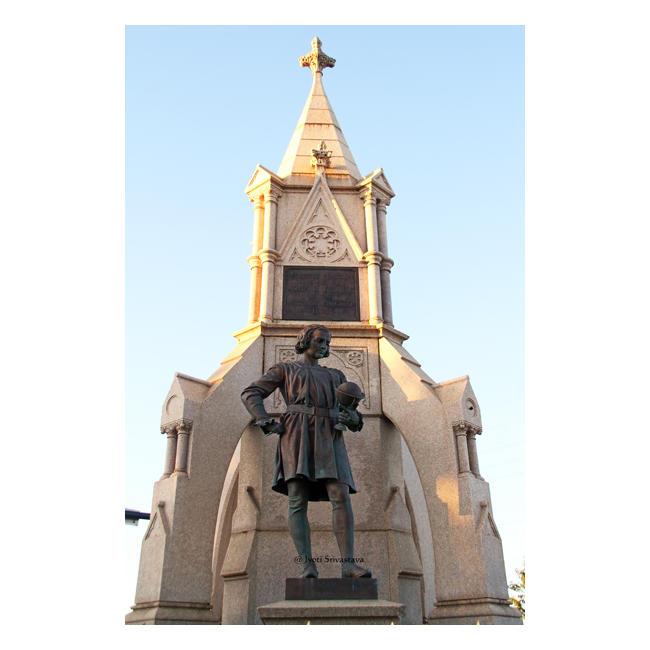 It was named to the National Register of Historic Places on March 21, 1979. Location: 35th Street and Cottage Grove Ave. Date Designated a Chicago Landmark: September 28, 1977.. Location: Desplaines St. between Lake and Randolph Sts.. Description: Bronze, H 15 ft. x W 9 ft. x L 16 ft. This memorial marks the actual spot where the wagon used as the speaker's platform stood on the evening of May 4, 1886. Drake Fountain - by Richard Henry Park [1832-1902]. It was a gift to Chicago from hotel owner, John B. Drake. Location: East 92nd Street at South Chicago and Exchange Avenues. 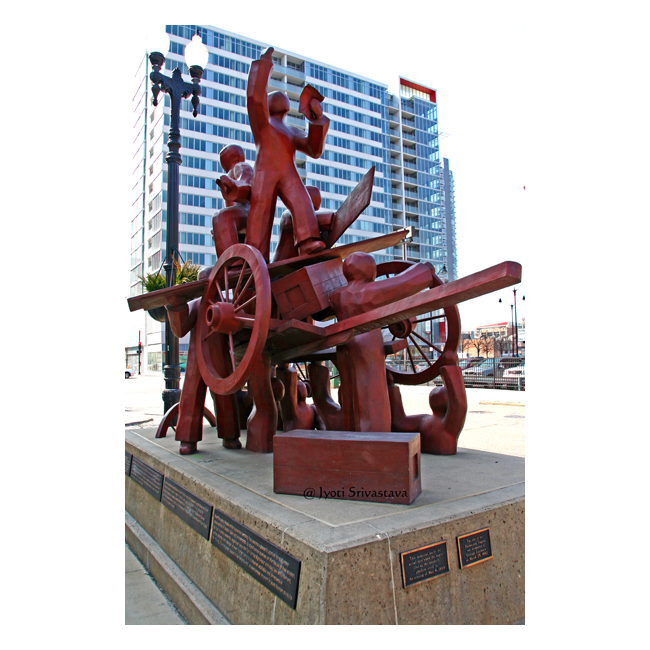 Designated a Chicago Landmark: March 10, 2004. 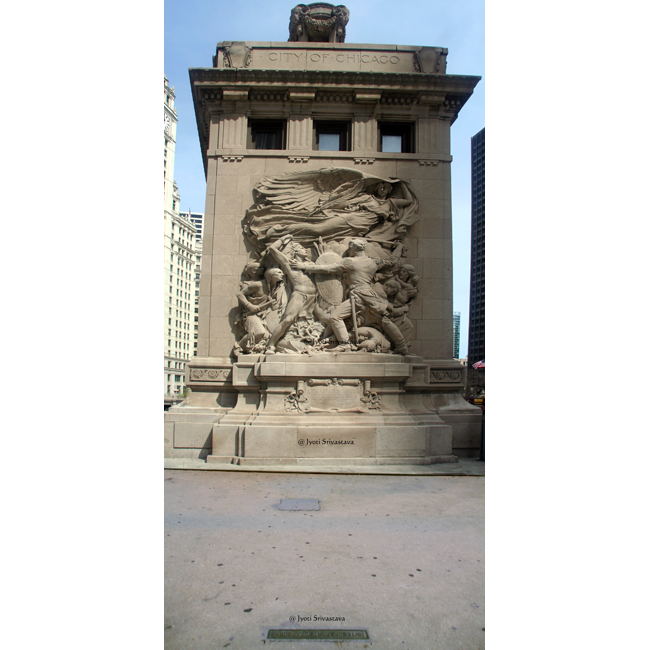 Statue of The Republic - by Daniel Chester French [sculptor] and Henry Bacon [architect]. Location: Jackson Park at the intersection of Hayes & Richards Drives. Date Designated a Chicago Landmark: June 4, 2003. Fort Dearborn: Year built: 1803, destroyed: 1812. Second fort erected on the same site: 1816, demolished 1856. Date Designated a Chicago Landmark: September 15, 1971.